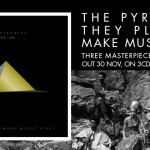 THE PYRAMIDS – They Play To Make Music Fire! They Play To Make Music Fire! 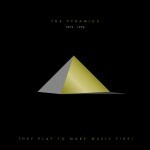 The Pyramids lately released Otherworldly (DB159) – the first Pyramids’ album in over 35 years!!! To complete the whole story of The Pyramids, Disko B now re-releases the three rare Pyramids’ recordings from the 70s in a triple CD box under the title: They Play to Make Music Fire! The Pyramids 1973 – 1976 (DB162CD) 3CD Box will be released at 30 Nov 2012. Over this there will be a limited vinyl edition of the three masterpieces. They will be released at 14th Dec 2012.More coming soon!